Play Monopoly with all your favourite Disney characters. 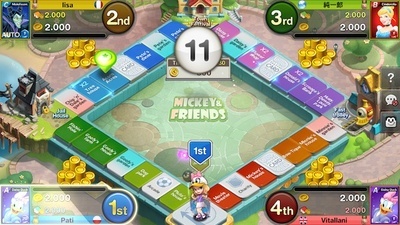 In the last several years there has been an explosion of themed Monopoly games, but Disney Magical Dice is a bit different. Aside from the fact that this is a mobile game, there are lots of little tweaks that make it all the more enjoyable. I was first drawn to this game by the trailer, which shows off its absolutely gorgeous graphic animation. 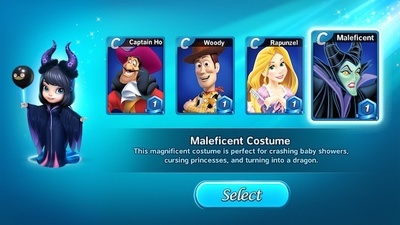 It also hints at how you, the player, can transform into various Disney characters by putting on different costumes. 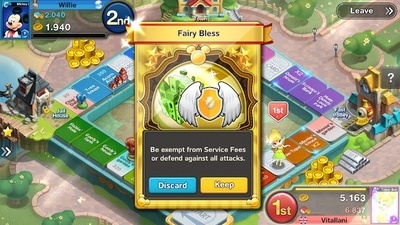 The costumes come in the form of collectable cards, which are ranked from C to S. These cards have special stats that help you on the game board and can be upgraded in a multitude of ways. Given the quality, I was pleasantly surprised to find that this game is free to download from Google Play and the Apple Store. Upon first starting you get to choose a C grade costume card to play as, and get a taken through a fun tutorial that explains how to play. 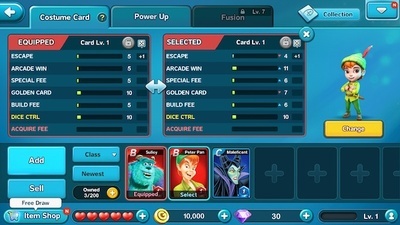 Like most free games, Disney Magical Dice has in-game purchases available to help you progress, but unlike most free games, you can progress easily without having to spend a penny. 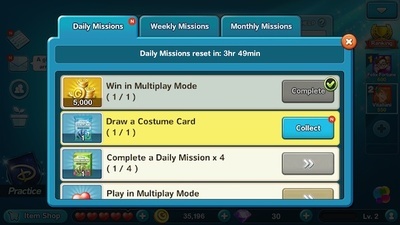 You get given tons of daily, weekly, and monthly missions, (a lot of which are very easy to complete), and you get generous rewards in return, which include costume cards, coins, diamonds, life, and magic beans. 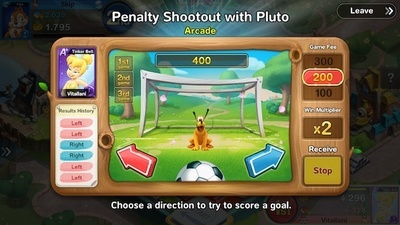 Once you have completed the first stage of the tutorial, you have the choice of either playing against the computer in practice mode (which has several levels to unlock), or against 2 - 3 opponents in real time. 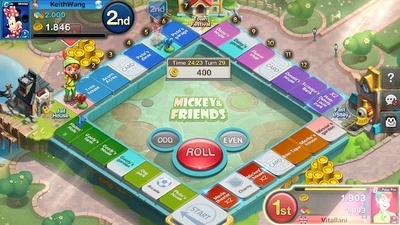 Each player takes in turn to roll the dice, move around the board, and buy property. Just like in Monopoly, there are colour coded properties to acquire, and the more you own, the greater the cost if someone lands on your square. Anyone who has played classic Monopoly knows how long a single game can take. Sometimes it can be torturous. With Disney Magical Dice, however, you avoid all that. There is both a 25 minute time limit and a limit to the number of turns you can have before the game ends, which is helpful if you only have half an hour free time to spare. If the timer runs out, then the person with the most coins at the end is the winner. There are three ways to win the game before the time/turn limit comes about, however. These include making your opponent bankrupt, owning all the squares on one line of the board, or owning all the squares of three different colour properties. The squares all have Disney related names and are structured in same way as a Monopoly Board. 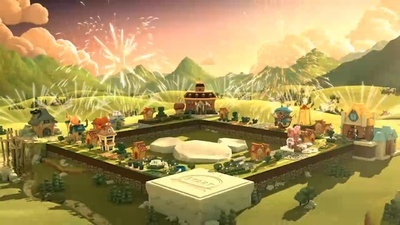 There are different themed boards to play, each of which have different features. 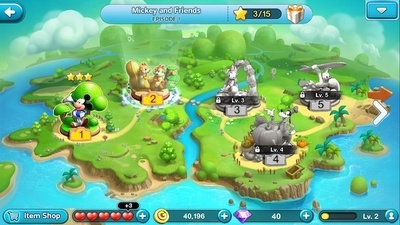 Fantasyland, for example, has a wheel of destiny that moves players to different places on the board. 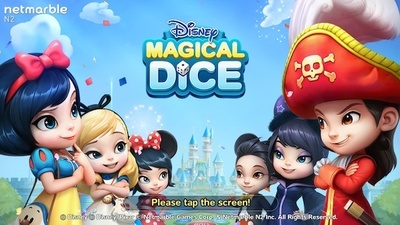 I think Disney Magical Dice is one of the best mobile games out there, especially since it is both free to play and add-free. 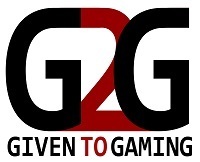 It is highly interactive and very addictive. Any Disney fan is going to love it.